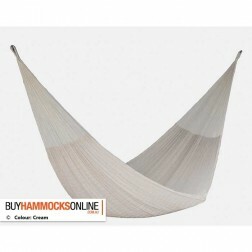 Inject some style, class and comfort into your life with the Mexican Resort King Hammock. 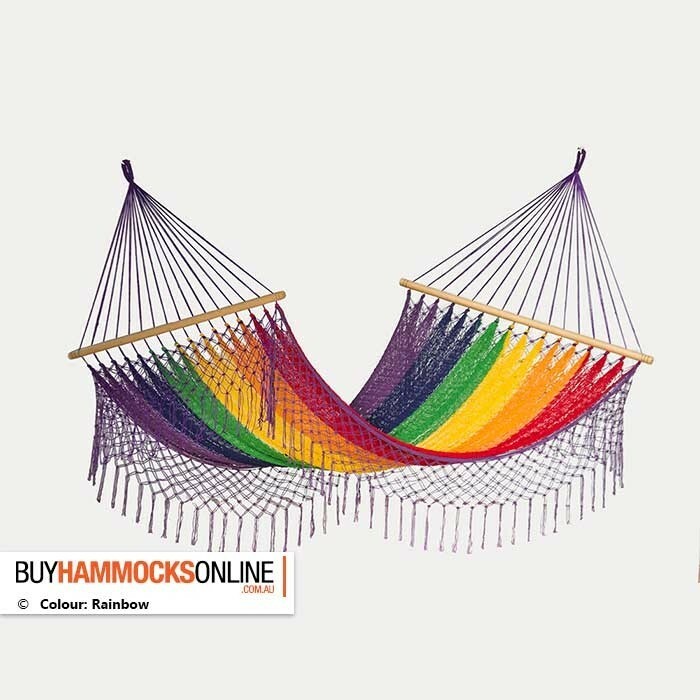 A hammock truly fit for kings and their queens. 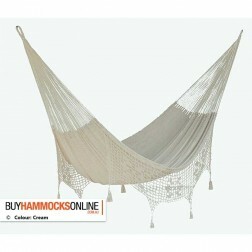 The Mexican Resort King Hammock has class, style and elegance, and is made for both outdoor or indoor hanging. 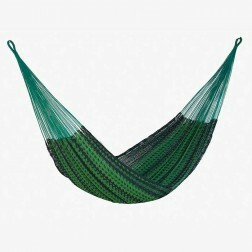 Beautifully hand-crafted from thick 100% cotton string designed for regular outdoor use. 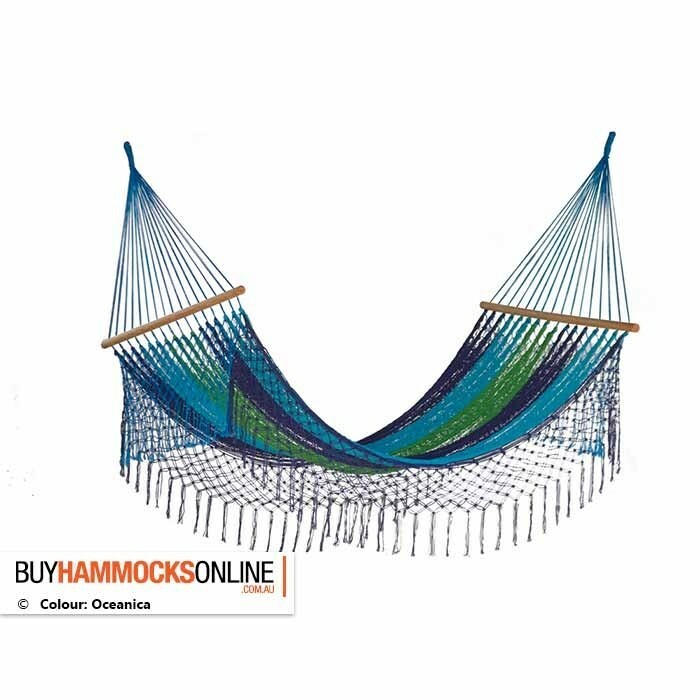 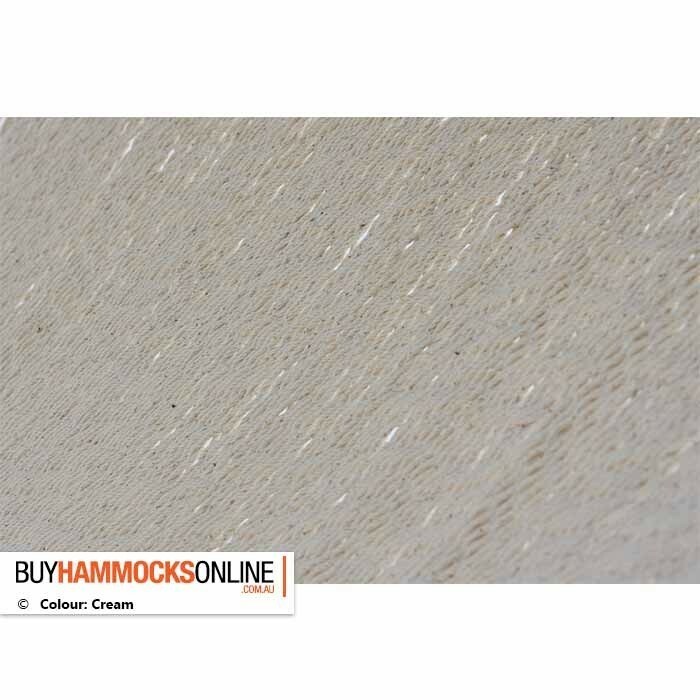 It also boasts a long subtle hand knotted fringe which makes this hammock a stunning visual piece that will liven up any environment. 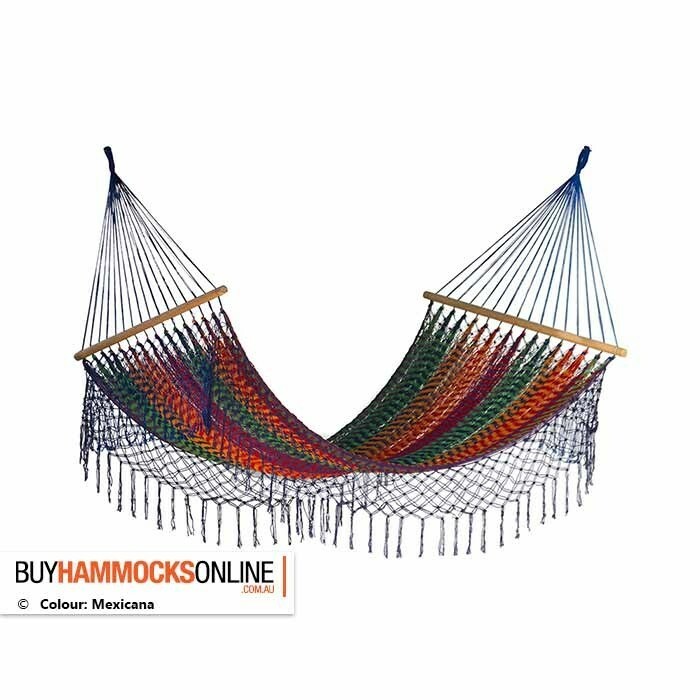 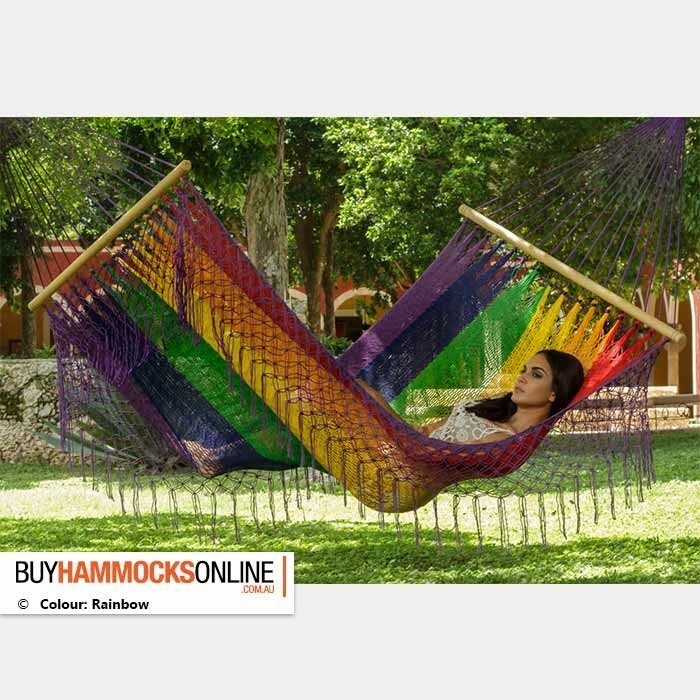 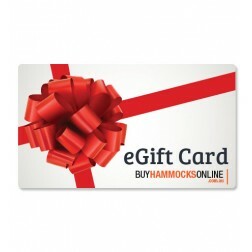 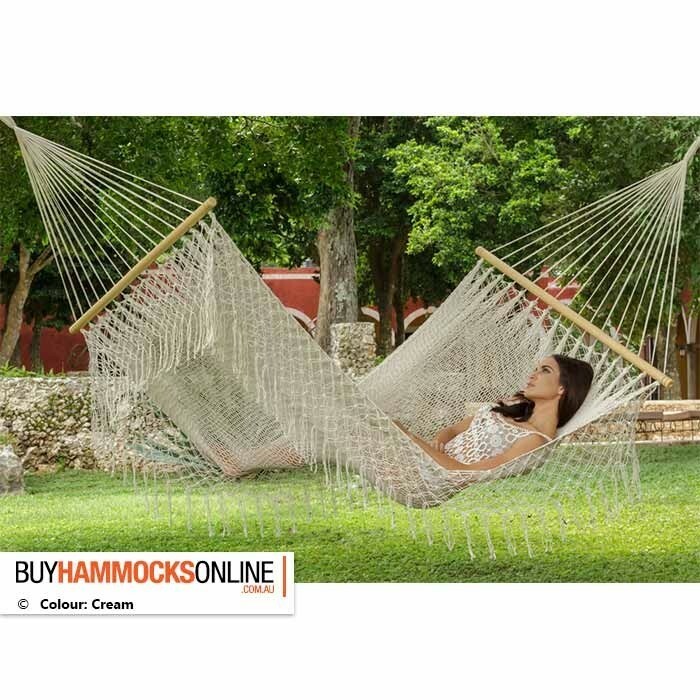 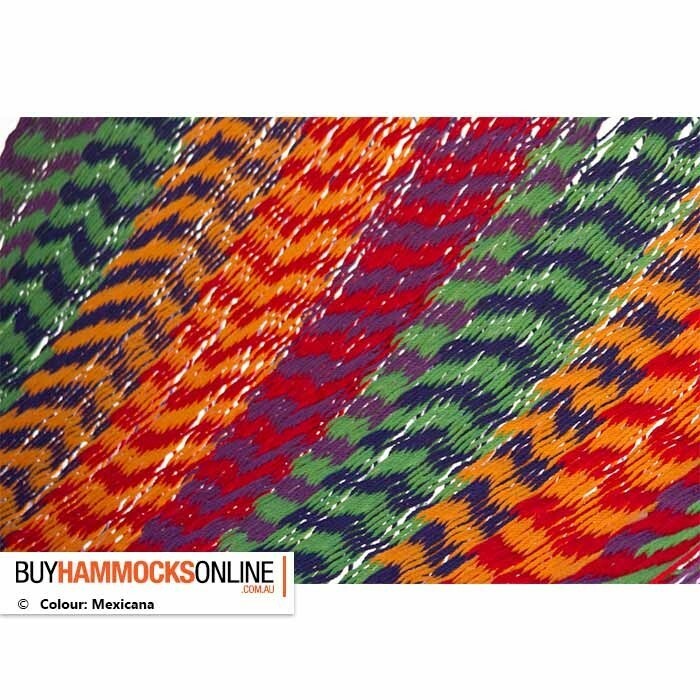 You can use this hammock on the XL Hammock Stand, however it will not fit other regular hammock stands as they do not support Spreader Bar hammocks. 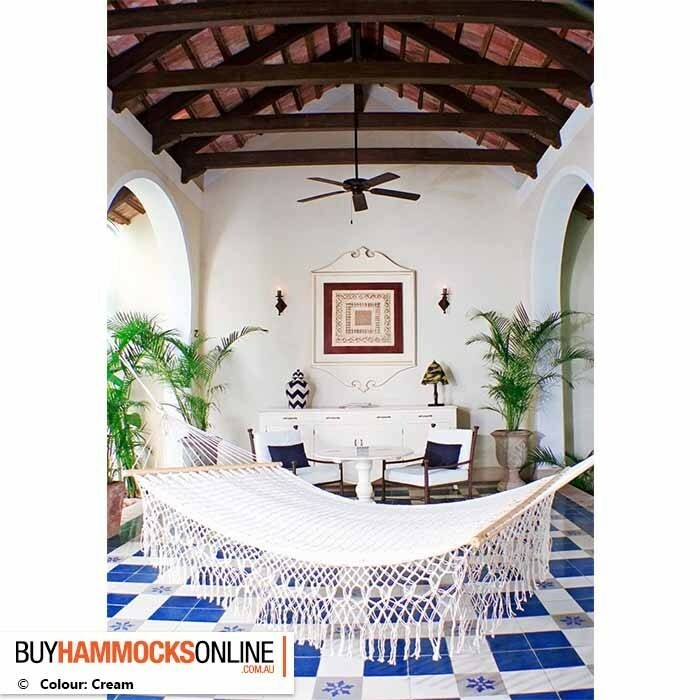 * Mount to sturdy trees and pergolas with Tree Straps or hooks. 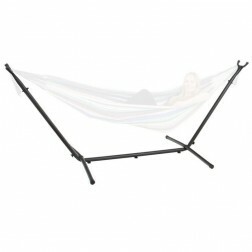 Lower stress levels and anxiety, and improve quality of life with this comfortable, durable and unique hammock. 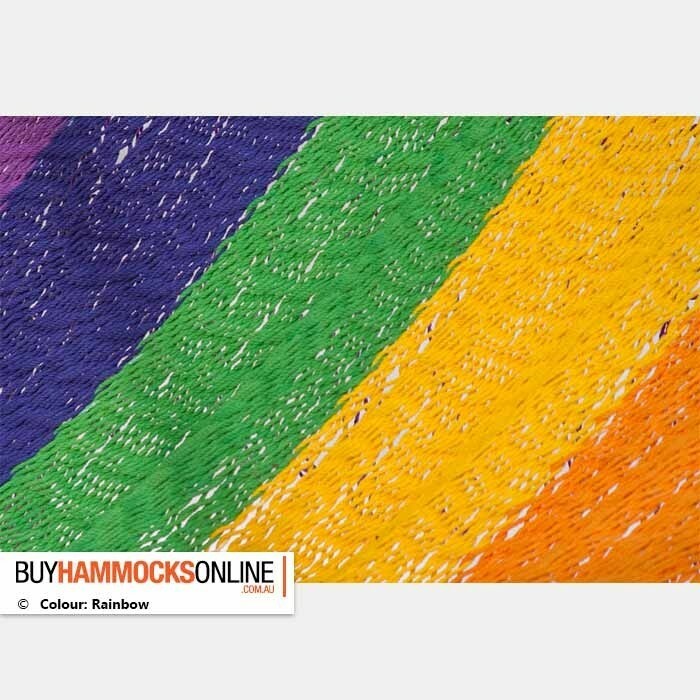 Limited stock available - Snap one up today and secure your desired colour.